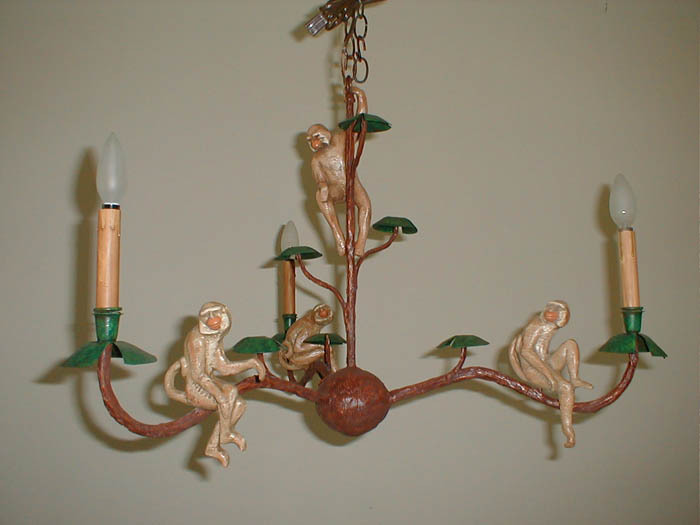 Description: 4 Branch monkye chandelier with green leaves and 3 lights. Resin and steel. 20" high, 30" or 21" width. Shades extra.